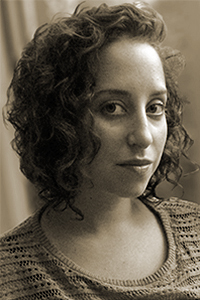 Amy Kurzweil’s short fiction and comics have been published in Shenandoah, Hobart, Hot Street, and Short, Fast, and Deadly, and her work is forthcoming in Washington Square. She was a Norman Mailer Fellow in Fiction in 2013. Her graphic memoir Flying Couch will be published by Black Balloon, an imprint of Catapult Books in the fall of 2016. Kurzweil teaches writing and comics at Parsons The New School for Design and the Fashion Institute of Technology. She earned an MFA in fiction from The New School and a BA in creative writing from Stanford University.